How do I move a word to the end of line in notepad++? Set "Find what" to ^(.*)\bH1\b(.*)$. Notepad++: cursor past end of line / virtual spaces? Notepad++ - How can I search (per line) until a certain character (in said line)? How do I add a number at the end of every line in Notepad++? Move cursor to the start of line in Notepad++? 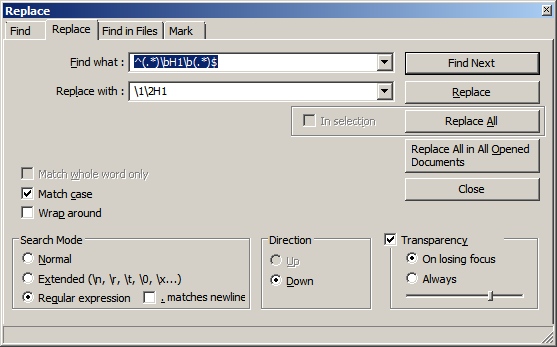 notepad++ how to add increase number every end line?